'Alpiyskiy Lug' Альпийский луг ( Olga Riabykh, R. 2013) Seedling 0489-2. TB, 29.5 (75 cm), Early midseason bloom. 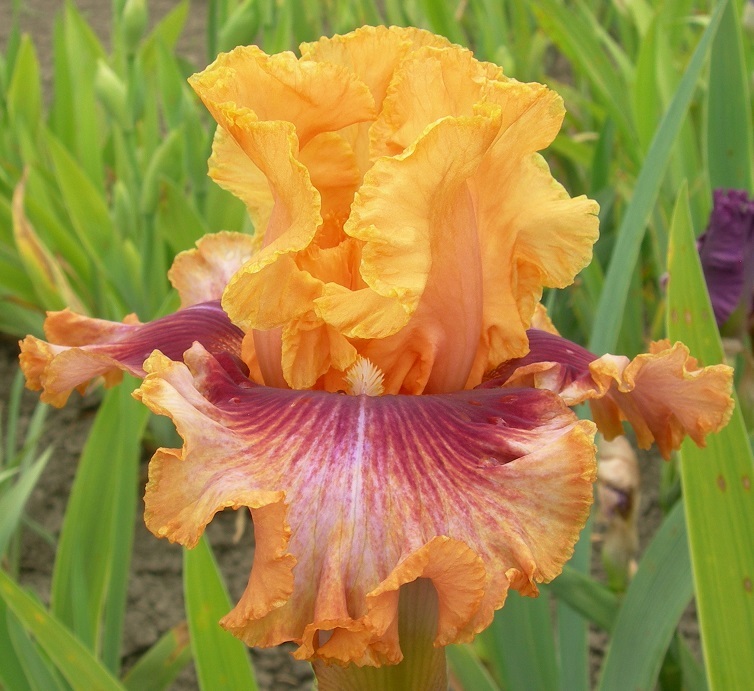 Standards orange; style arms same, lilac midrib; Falls large cherry spot below beard turning into cherry rays on orange ground; beards apricot-orange, pale apricot end, light lilac base; ruffled. 'Tropicheskaya Skazka' X 'Vishniovoye Ozhereliye'.